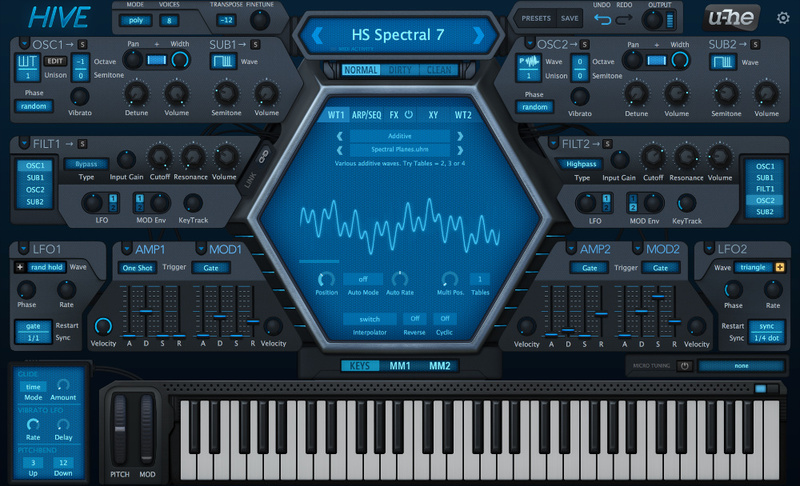 Hive is a modern digital synthesizer built for fast results. With its effortless workflow and low processor usage, you can create your patches in next to no time at all. Hive is quick and uncomplicated but that doesn't mean sacrificing flexibility, sound quality or creativity. It's packed with features and controls - with a dazzling character that delivers stunning sound. CPU-friendly VA synthesizer with 3different synth engine characters. 2 pairs of stereo oscillators and sub-oscillators with 10 different waveforms each. Wavetable support with additional proprietary .uhm file scripting. 2 LFOs with various shapes, sync options and unipolar switch. 4× XY pad control with auto-assign. Polyphonic (up to 16 voices), duophonic, mono and legato modes. Up to 16× unison per oscillator. 2 multimode filters: lowpass, highpass, bandpass, bandreject or peaking. 12-slot modulation matrix with 2 targets per slot, countless targets including all FX parameters. Glide (constant rate or constant time mode). 7 quality effects on board: distortion, chorus, delay, phaser, EQ, plate reverb, compressor. 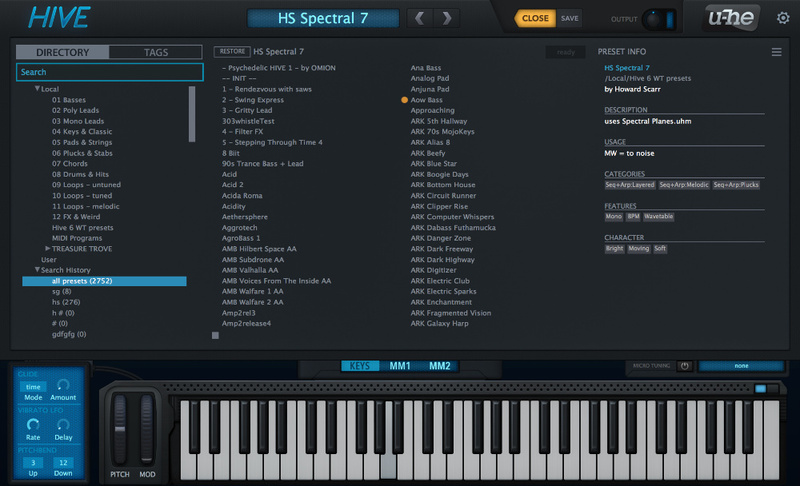 Arpeggiator and sequencer with direction, order, octave, frame/restart controls, and common clock with strict host-sync option. Resizable UI from 70% to 200%.